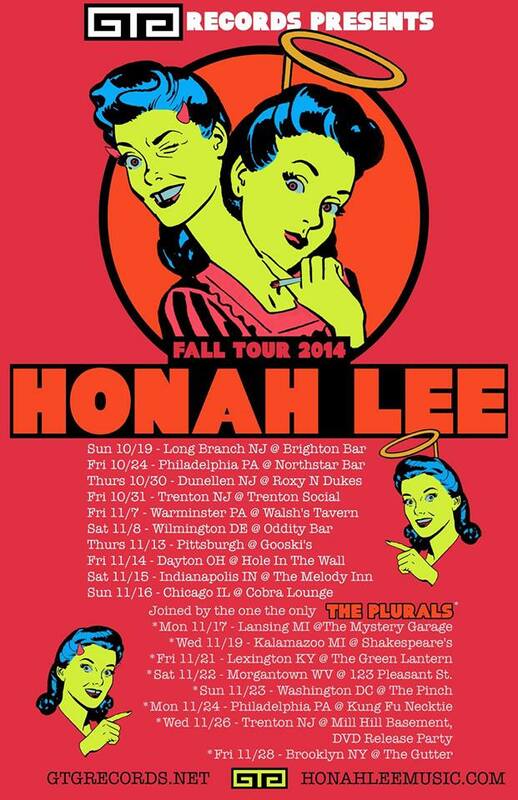 Honah Lee / Plurals 2014 Tour Dates! The Plurals are also hoping to do a one-off in north Jersey on 11/25… hit us up at mcflybooking at gmail dot com if you have a lead. Maybe we’ll just hang out in Joe The Bee’s basement. Anyway, of course we always want people to come to all shows but these shows are, more than most, guaranteed to be a real rowdy rock and roll ruckus of a, uh, time. The Plurals and Honah Lee are friends just as much or more than we are musical colleagues so when we end up doing a cluster of dates together we constantly push each other to do outrageous things which is often to the benefit of the audience, or it just becomes a nonsensical in-joke. Regardless of the outcome, there will be a very positive and fun atmosphere around these shows – and that Thanksgiving Eve show in Trenton on the 26th will also double as Honah Lee’s release party for the DVD of all of the music videos they’ve been releasing this year. So yeah… good times, guaranteed. Is that what GTG stands for? Okay. See you on the road!